Let MyMilitarySavings.com Help Make Commissary Coupon Matchups Easy! 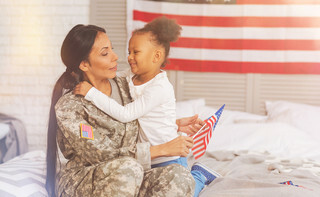 MyMilitarySavings.com makes commissary coupon matchups a piece of cake by giving you the tools and resources you need to make saving money quick and easy. We understand that families committed to a life of service can struggle to make ends meet, and, because spouses often do double-duty when their service-member partners are away from home, time is at a premium. This is why we dedicate ourselves to helping stretch every dollar and maximize every minute. Find the Price Connexion and Coupon Connexion flyers located on our Hot Deals tab. Use our handy “My Shopping List” desktop and mobile app to create your shopping list. You can print it out at home or access it on your mobile device when you’re at the commissary. Match your bargains to available manufacturer or retail coupons. Present your coupons at checkout and enjoy your savings! Additionally, we feature a coupon matchup page on our blog written by military spouses with up-to-the-minute posts for the latest coupon matchups, links to manufacturer coupons, and even information on how to get cash rebates for your purchases. What could be easier than that? But that’s not the only service MyMilitarySavings.com provides. We offer a digital community with thousands of like-minded individuals who live lives of service, and we are proud to provide members like you support, advice, and information. We even have exciting Facebook and Pinterest pages where you can discover new recipes, participate in contests, and broaden your virtual community of friends. To learn more about how to save money using commissary coupon matchups as well as other money saving ideas at MyMilitarySavings.com, sign up today. Membership is free and easy!